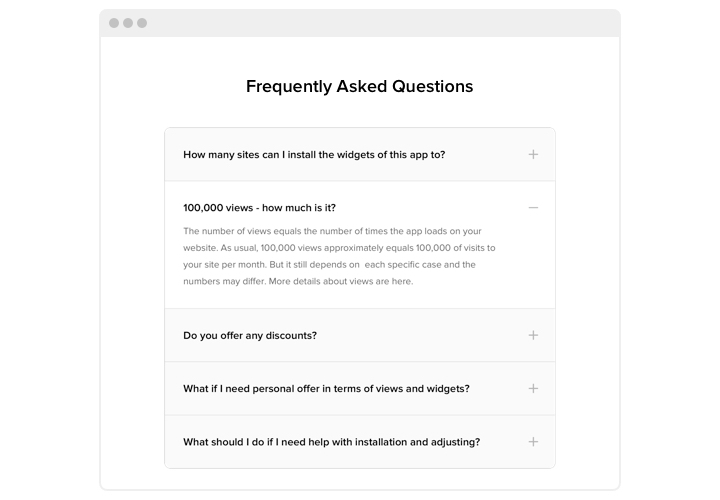 Our FAQ is an efficient and easy to install and configure widget to set and show a list of the most frequently requested questions with answers on your website. An interactive plugin with clear interface helps you to demonstrate most detailed information about your products, direct client interest to your advantages and combat any kind of probable doubts and distrust, which could prevent buying decision. React on the appeared questions of your customers immediately and increase the number of orders on the site! Lead visitors to make their order using the right texts. 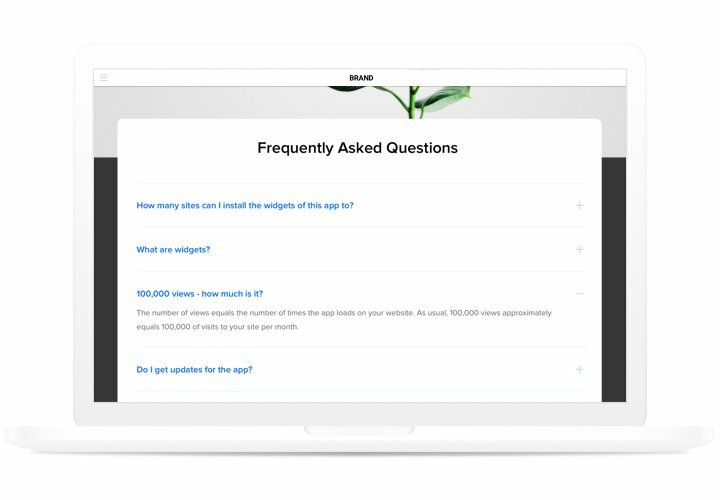 Publish answers to the most important customers’ questions before they arise and assure them to finish an order on your website. Achieve the optimum understanding by users of your goods or services. Break the most frequent prejudices and doubts about your company with the help detailed and understandable answers. Decrease time and cost of client support. 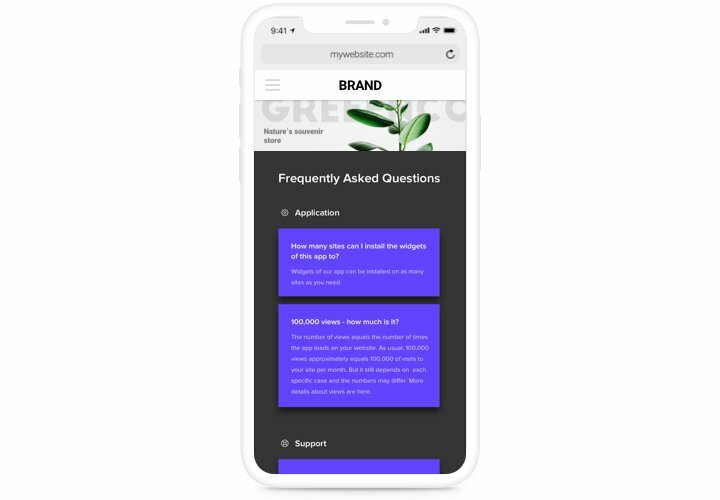 Give answers to any frequently asked questions concerning your products or services, to take away the intense load of your help center. 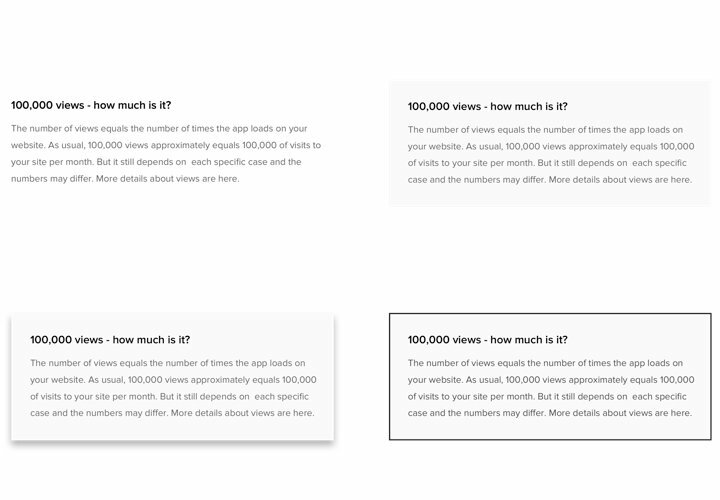 The main advantages of our widget, which let it become the most effective instrument to add FAQ on Webflow website. Mobile optimized for smooth experience. Generate a widget using our quick guide. You will not need skills in programming, or having a programmer with you. Average installation duration is just 3 minutes. With our free editor, create a widget with preferable design and options. Acquire the code for installing the widget. After widget creation, obtain the code for FAQ widget from the appearing notification on Elfsight Apps. Reveal the widget on Webflow site. Add the widget to the necessary spot of the website and publish the changes. Enter your site, to check your work. Came up with questions while carrying out the tutorial? 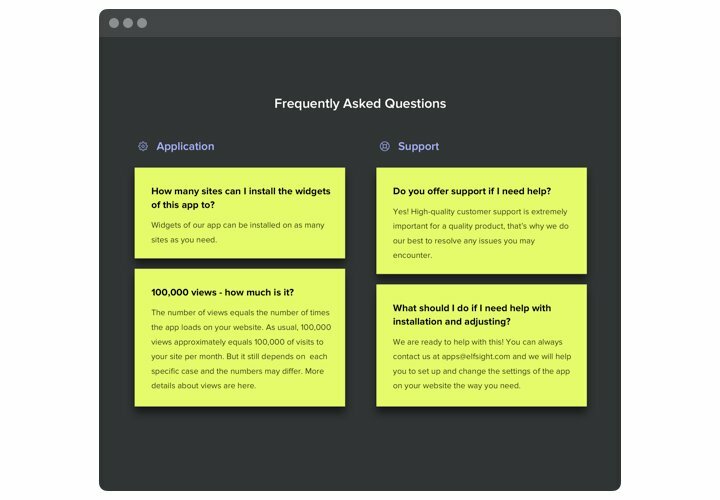 Get in touch with Elfsight support center or analyze the detailed text of the manual: «How to add FAQ to Webflow» and do the setup yourself. 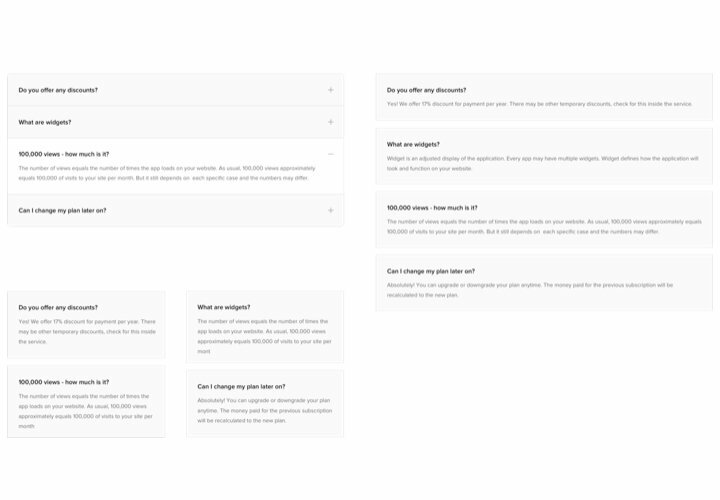 Create Webflow FAQ plugin in only 60 seconds!